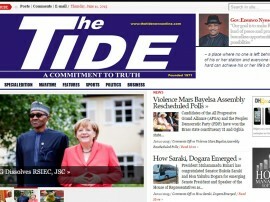 The Tide Newspaper is one of the Nigerian dailies published by Rivers State Newspaper Corporation. It commenced production on December 1, 1971. Since it is funded by the state government, the news coverage is more inclined towards the interests of the people of Rivers State. 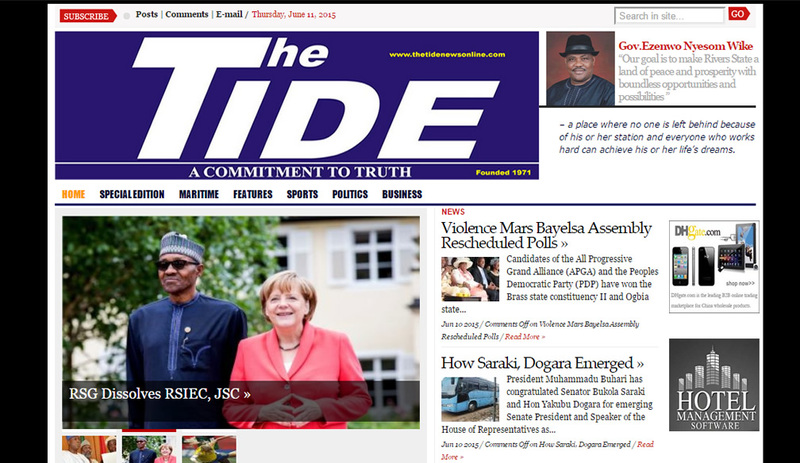 The Tide Newspaper is the most respected source of news and information for readers in the Country, with the latest stories on politics and current affairs, business and technology, sports, culture and the arts, as well as the popular citylife supplement, with nightlife news, restaurant reviews and top events.